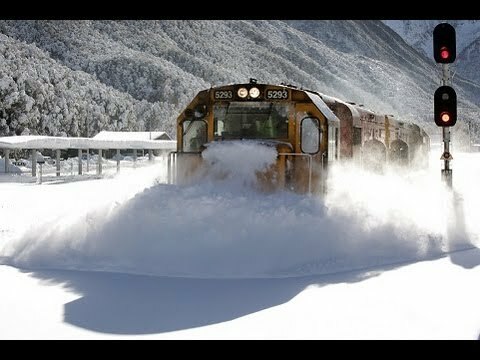 Kiwirail attempting to plow a route through to Christchurch (the largest city in the South Island of New Zealand) from Arthur's Pass.In these video you can see some spectacular images. 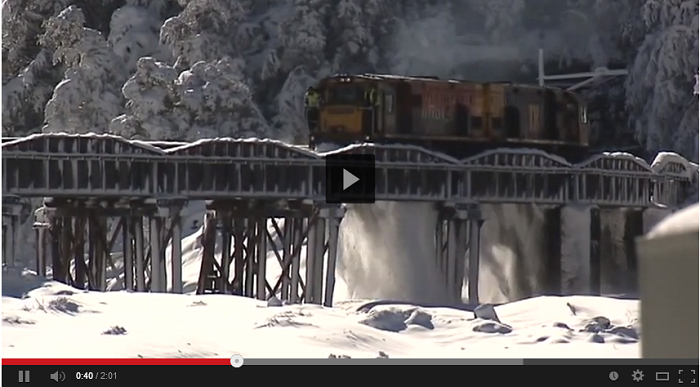 Is The Most Beautiful Railway In The World? I had no idea there was snow in NZ, and must be very cold to have powder snow. One foot of our local wet snow would bring this operation to a halt.